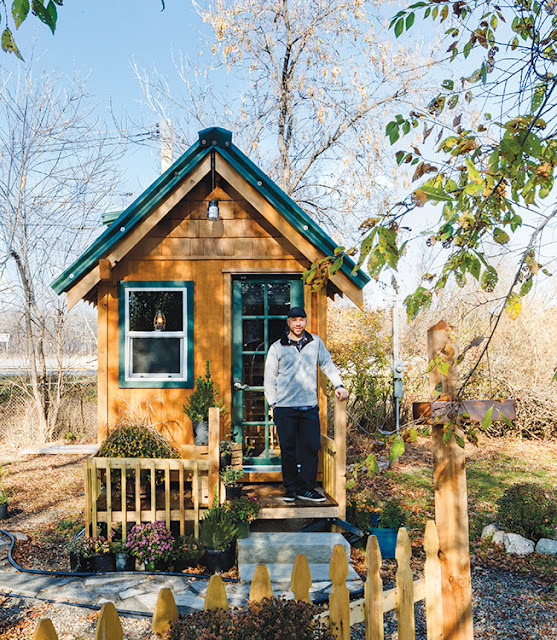 This charming 130-square foot home is located just outside of Ann Arbor, Michigan on Whitmore Lake. The home has a living room with a work space, a kitchen, bathroom, and a loft bedroom. 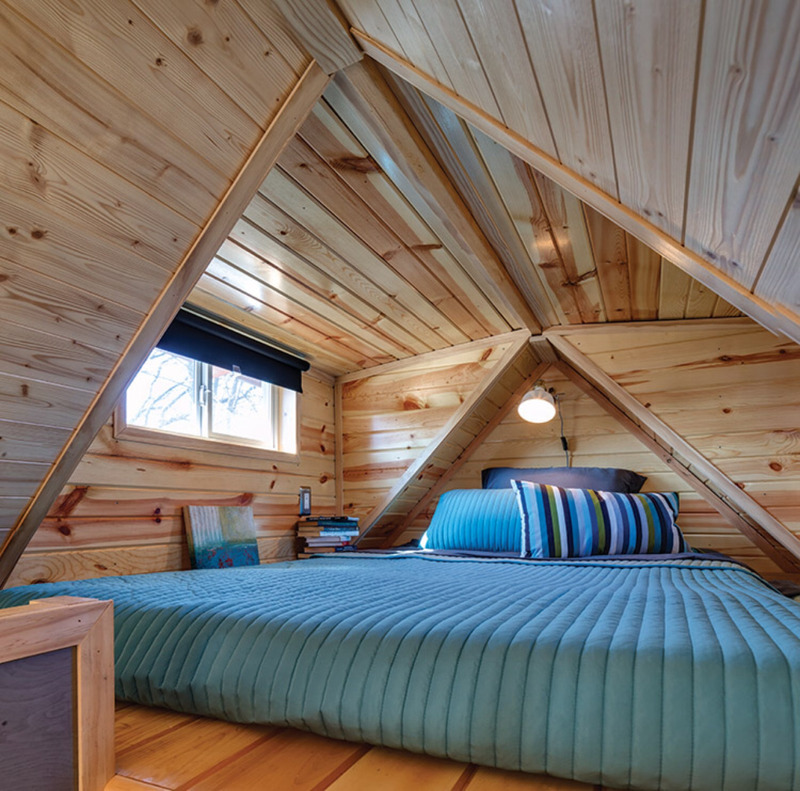 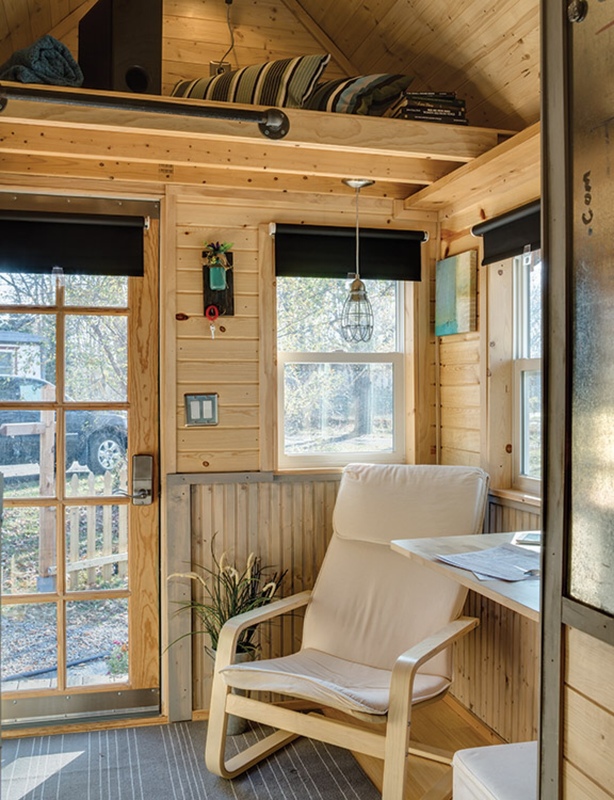 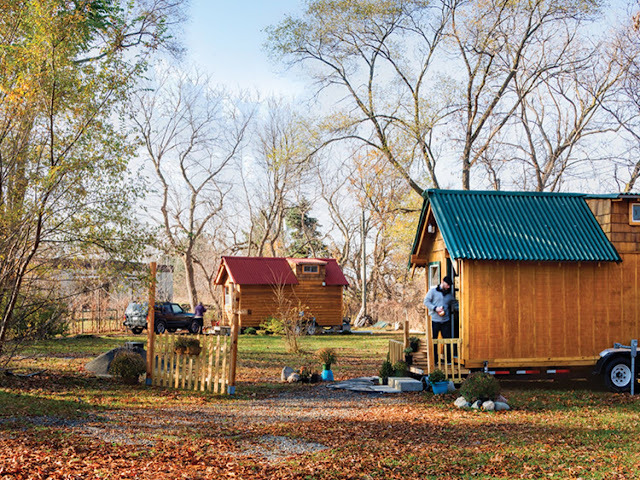 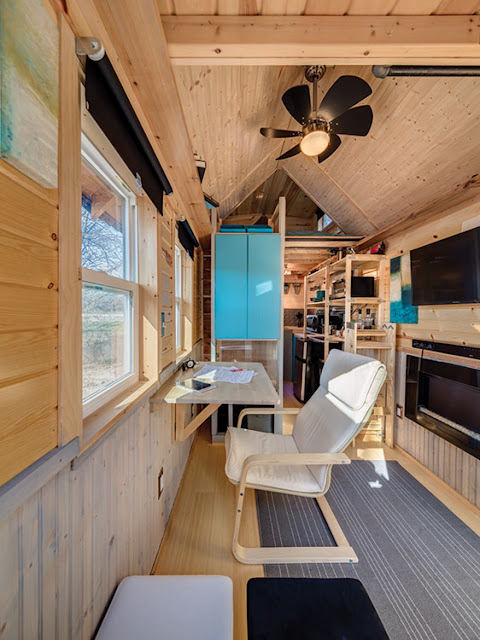 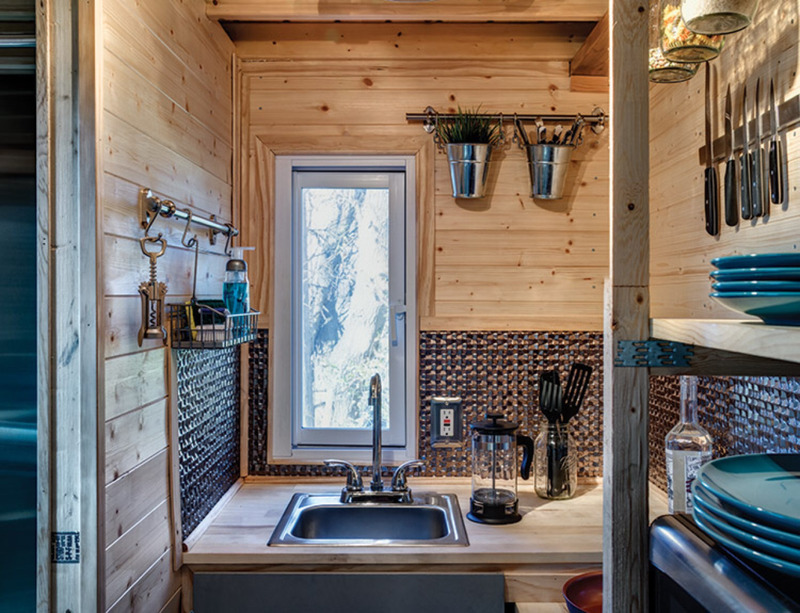 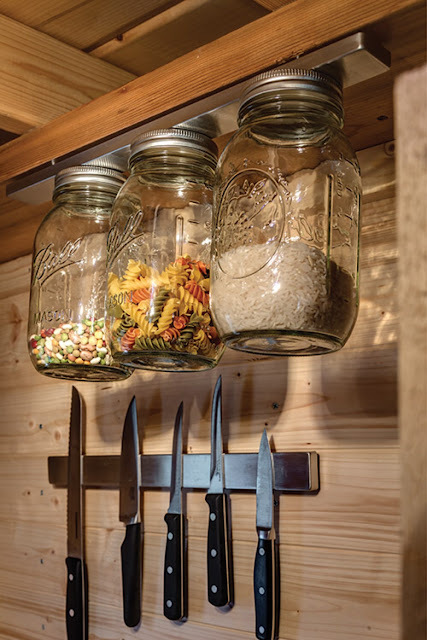 The home's owner originally lived in a 1,200 sq ft home, but decided to downsize and built himself a tiny house where he now lives and has parked on a 4-acre plot of land.